IoT is proving to be a game-changer for automation companies as a variety of industries begin employing IoT-enabled architectures and experimenting with how IoT solutions can reap new benefits. One example is Rockwell Automation, a provider of industrial automation products, including control systems and devices, who recently shared how it aids in the collection, integration, and organization of sensor data from remote equipment to enable real-time decisions, predictive analysis, and preventive maintenance in the fuel industry. The Milwaukee, Wisconsin-based company describes in an online report how it teamed up with Microsoft to bring IoT solutions to three different companies to keep fuel continuously moving as it passes through countless pumps, holding tanks, meters, monitors, and hoses around the globe during mining, refining, transport, and sales. In coastal Alaskan waters, Houston, Texas-based Hilcorp Energy Company is using electrical pumps on its oil-drilling platforms that employ variable speed drives. To avoid costly pump failures, the drives are connected to the cloud and constantly monitored in a command room in Cleveland, Ohio. Sensor data on pressure, temperature, flow rates, and other factors is sent to engineers on digital dashboards so they can verify that the equipment is working properly and respond quickly to any problems. Once extracted from beneath the ocean floor, the crude begins the journey to refineries on its way to your local gas pump via a vast network of ships, barges, pipelines, trains, and trucks. Along with that network is equipment that measures the product amount as it’s transferred from one mode to the next. Trigg Technologies, a Pampa, Texas-based company that gathers transfer data, upgraded its remote equipment with sensors transmitting to the cloud, enhancing remote maintenance, product monitoring, inventory, and electronic invoicing. 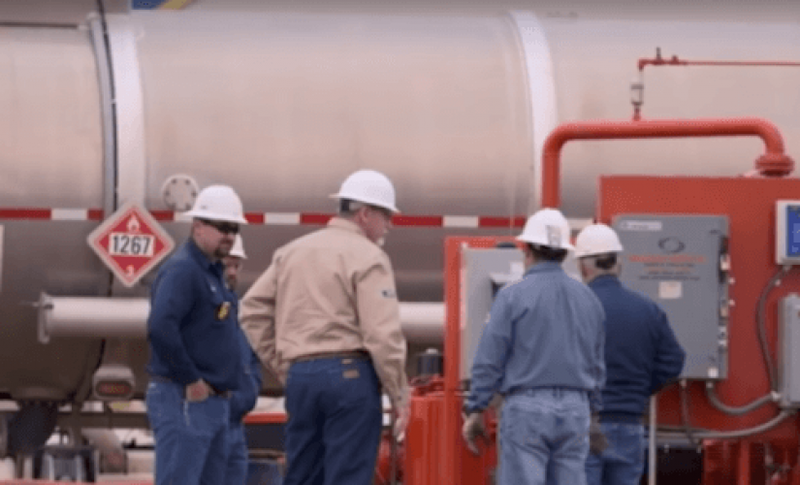 A major oil company has also launched an IoT project to cloud-enable the sale of liquid natural gas at filling stations, bringing a new level of predictive and other analysis to suppliers. Gateway appliances at each station collect data from the fuel pumps and send it to a cloud platform that enables monitoring of consumption rates and inventory. Long-term, the project is expected to result in design improvements for pumping stations and other equipment. How can other industries and companies start an IoT solution? 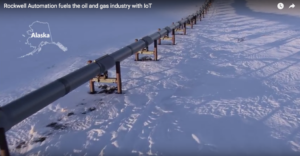 The petroleum industry has been an early adopter of IoT systems because of the efficiency and improved performance that industrial IoT brings is particularly valuable to high-value assets that are remote, says IoT Analytics, a market insight and competitive intelligence provider headquartered in Hamburg, Germany. The interconnectedness and expansive range of the fuel industry highlight the need for creating IoT systems that are interoperable and secure. Only then can the full value of IoT be realized. In a recently released white paper, IoT Analytics provides a roadmap of decision points that can be valuable to other industries and companies. Its 31-page Guide to IoT Solution Development, which was developed in cooperation with Microsoft, shares research that demonstrates the importance of taking the right path through IoT solution challenges. Interoperability, which is dependent upon communication protocols and standardization level, is the ability of different IT systems and software to communicate, exchange, and use data. It’s key to crafting a successful and resilient solution, regardless of whether an organization builds its IoT system in-house or engages a vendor. When assessing a solution’s interoperability capabilities, it’s important to consider the physical layer (how bits are transmitted and received over the medium), the network layer (how data packets are securely transported from device to cloud), and the application layer (how the data is taken in and used in applications). More help in this area may be on the way. The white paper explains how a group of technology rivals has banded together as the Open Connectivity Foundation, which could result in global standardization, reducing the current patchwork of specifications. The IoT Analytics guide pays particular attention to the security of systems, of paramount importance across all industries and companies. The guide concludes that any organization needs to “map the attack surface…end-to-end using a systematic approach” and implement best security practices, which are listed in the guide. Combining hardware and software solutions that go from device to cloud and cover everything in between will enable more seamless security, the research found. 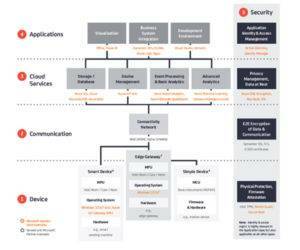 Security is one of five “layers” IoT Analytics recommends in its structured approach to development, along with the device, communication, cloud services, and application layers. For more information on this topic, download the 31-page Guide to IoT Solution Development for free on the IoT Analytics website. This article was prepared in conjunction with our partner IoT Analytics.